A special movie tie-in edition of David Levithan's New York Times best-seller, now a major motion picture starring Angourie Rice of Spiderman: Homecoming and The Nice Guys - in theaters February 23, 2018! There's never any warning about where it will be or who it will be. A has made peace with that, even established guidelines by which to live: Never get too attached. Avoid being noticed. Do not interfere. It's all fine until the morning that A wakes up in the body of Justin and meets Justin's girlfriend, Rhiannon. From that moment, the rules by which A has been living no longer apply. Because finally A has found someone he wants to be with - day in, day out, day after day. But can Rhiannon love someone who is destined to change every day? The audio itself is enjoyable and easy to listen to. Alex McKenna’s voice works as the narrator because her voice can sound both male and female which suits A’s character. There were times when she had to use a female voice to portray a character other than Rhiannon, but it still sounded like Rhiannon’s voice. Overall, however, her voices for A and Rhiannon worked well for the story; every time I heard Rhiannon or A’s voice I could picture them and their interactions very well. I’m really not sure how I feel about Every Day. I’m a big David Levithan fan, so I was really excited to read this, but I have a few big issues with it. **The insta-love. A starts off the book in Justin’s body who happens to be dating Rhiannon. A has never met Rhiannon before being in Justin’s body, but he (is it okay to refer to A as a male?) is instantly attracted to Rhiannon. He notices things about Rhiannon that Justin apparently never notices or cares about. From this day forward he’s head-over-heels in love with her. Sometimes I’m okay with insta-love, but most times I’m not, and this is another example of when it didn’t work for me. I understand crushes and lust, but his obsession with her bothered me. **Where did A come from? He talks about being this way forever, but at one point in the novel he worries about someone finding out about him. Why? Does it really matter? What will possibly happen to him? How will someone know where to find him? This whole sub-plot of the story, which includes another character who adds more conflict, really threw off the story. It felt like adding conflict for the sake of adding conflict. But maybe the story needed more conflict since the main conflict with Rhiannon is introduced at the very beginning of the book. It simply didn’t make sense. **Why the twist at the end? I’m not going to ruin the ending for anyone, but the twist at the end made me angry. Really, it ruined the book for me. I have a feeling that David Levithan is planning a sequel which would be good for the story, but upsets me at the same time. The ending feels like a cheap way get me to read another book. If there’s going to be a sequel then all of Every Day is like a prologue. I was almost able to suspend my disbelief and ignore some of the points that bothered me until that ending. **I feel like the only person who doesn’t LOVE Every Day. 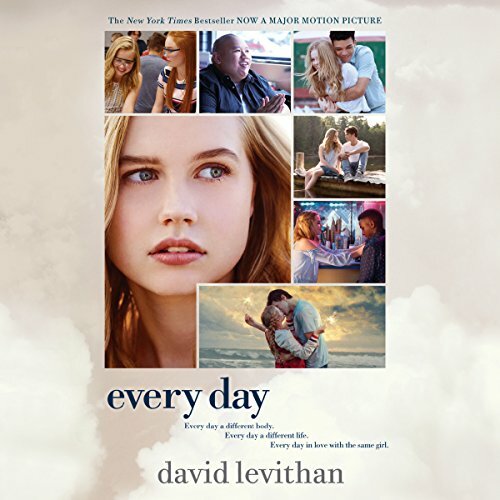 I’m not sure if that’s because I’m the only person who doesn’t “get” the story or appreciate it, or if maybe some readers love this book mostly because it’s written by David Levithan. Sometimes I think the author’s name on the book impacts what people think of the book. Or maybe I’m just not being fair right now. **I do like the focus on person over gender and appearance. It adds a unique way of thinking about why we like/dislike people and how attraction plays a role in relationships. I wasn’t thrilled with some of the stereotypes Levithan wrote for A to take over (a drug addict, an obese guy, a “mean girl,” and so on). These scenes often felt preachy. Like I said, I’m having a hard time deciding how I feel about Every Day. 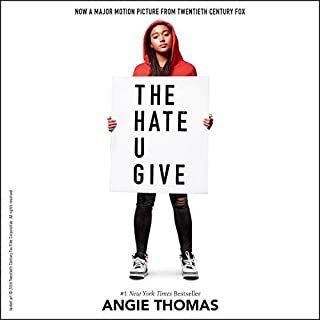 I’ve listed more negatives than positives, but I still enjoyed listening to the book and wanted to finish it. I was holding out hope that some big revelation was going to take place and when I realized I had only 20 minutes left of the audio I started to get mad. I felt let down and sort of cheated. David Levithan is becoming one of those authors I can count on to write something I'll like. The kind where you can just hear that a new book is coming out by him, and pre-order it without needing any additional information. Every Day has a unique premise, and I was quickly absorbed into the characters and story. Levithan does a great job of succinctly explaining A's life in a way that feels completely plausible and allows the reader to just get into the story without needing all the specifics about the whys and hows. Things just are the way they are. 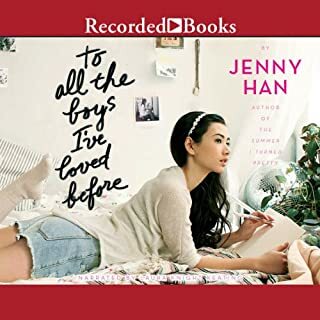 I absolutely loved the way that this book immerses the reader in humanity in a way that transcends gender, or sexual preference because that is the character A. We are experiencing life as A, who is experiencing life as anyone and everyone. Since it isn't possible for each of us to truly experience life outside of the body and self we are born with, this book gives us the next best thing. It really caused me to think about all the things that make humans the same and individuals different. I am truly going to miss these characters, and even though I would have loved to spend a lot more time in this story the way it ended provided enough information that I can imagine things turning out in a way that feels good. However, should a sequel be written I wouldn't hesitate for even a second to get it! The narration was pretty perfect. The narrator had a voice that was fairly gender neutral, so imagining the characters anywhere along the gender spectrum was effortless. I highly recommend this book! What disappointed you about Every Day? I liked this teen "Quantum Leap" story until ~4/5 of the way through, when it turned hateful. The premise of spending every day in a different body is cute (just don't expect your questions to be answered), and I was impressed by some of the progressive ideas about gender and identity, except when they became unbearably heavy-handed and preachy. 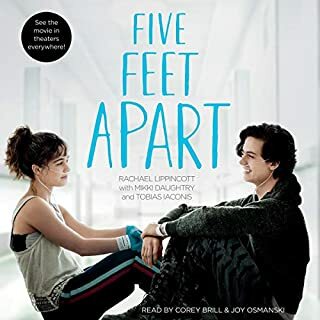 Most of all, I appreciated the nuanced empathy the main character showed for all the different bodies he/she inhabited...that is, until A inhabited a body that was only treated with scorn. Being poor or mean or dumb or addicted was fine, but apparently Levithan finds obesity to be an irredeemable blight. I lost respect for the author and the book after that. What three words best describe Alex McKenna’s voice? If you could play editor, what scene or scenes would you have cut from Every Day? The most unpleasant scene is the shoddy treatment of Finn, the obese boy. It shouldn't be cut, just rewritten with a shred of the compassion Levithan shows to other characters. 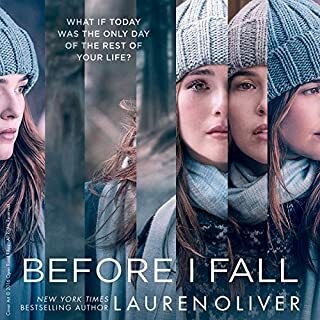 There are some plot twists that are neglected (presumably to pursue in another book), but I'd rather have had a more complete story in this book. Although it's been a long time since I have been 16, I found the various bodies/characters and their circumstances to be very open (from the inside), vulnerable, and I connected with all of them. The family dynamics and relationships are all messy, and even the gay relationship is not without glitches and hiccups, but so what? I don't read in order to discover ideal situations and perfect worlds. I can learn about all that from the surface "everything's OK" perspective of the real characters surrounding me, and from my own need to apply a positive spin to everything and everyone I encounter. Instead, I read, at least in part, to learn about how we deal with the imperfections and challenges that we're given as a condition for occupying the planet.. This very flexible protagonist seems to have adapted quite well and is open to dealing with new circumstances every day - most of us find that just one set of life situations is more than enough. Indeed, this character's daily shape-shifting becomes somewhat liberating on many levels. The narrator's voice, though sounding slightly hoarse, did not interfere with my enjoyment of this story, which is the second I've read where reality's boundaries are explored and crossed. Suspending disbelief is the first requirement of the reader, and then one sees how it can all actually make sense. At times I did find myself comparing this novel to "Memoirs of an Imaginary Friend", another inventive plot premise, though in my opinion not as successfully executed. There is no "original" body owned and occupied by the main character. He/she has been in this constantly morphing state throughout all his/her life. 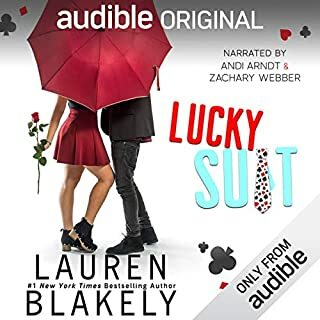 Another really good read from audible, and I hated to see it end. It’s often hard to go from reading a book in print to listening to an audiobook. You already have a voice in your head or you have an idea of how the characters would say certain things. If the audiobook strays from that too much, the audiobook isn’t enjoyable. I’m happy to report that this was a seamless transition. I suppose the months between my first reading and this listen had a little bit to do with that. But Alex McKenna is pretty awesome. She has a great voice for A’s character. It’s not super girly, but it’s not exactly boyish either. It’s a bit husky for a female and it really works for A. There’s a good distinction between A’s voice and Rhiannon’s voice, so that’s good. A’s voice stays the same throughout the book. I always thought it would have been cool if they hired different people for every day, but I think this works better. The story is told in first person so it makes sense that A’s voice is consistently the one he hears in his head. McKenna demonstrated emotion, took cues from the text, and delivered the lines smoothly. It was a great audio experience. I recommend giving it a listen. I read a review of this book in Entertainment Weekly and as an honest fan of "Quantum Leap" I was intrigued to pick it up, even with its young adult genre listing. Yes, this is a young adult book, make no mistake. The young characters seem to experience about every pitfall of high school over the course of the book, so prepare yourself. Even still, the idea of the character is very intriguing. 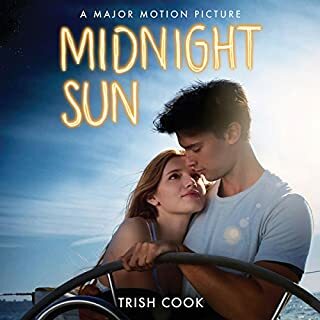 The lives the main character falls into each have their story told equally which can lead to interesting tales and perspectives on young adult life. A bit preachy in parts, the messages are all positive. The ending is what really threw me. I won't spoil it here, but it was probably the only part of the book I didn't enjoy. The narrator is superb! Definitely worth a listen. If you could sum up Every Day in three words, what would they be? What other book might you compare Every Day to and why? I would compare it to the show Quantum Leap. Have you listened to any of Alex McKenna’s other performances before? How does this one compare? No, but she was good. Imagine living your entire life in one day, over and over again. Would you listen to Every Day again? Why? This is my new favorite book. It was a beautifully creative story. The concept of this story is interesting, unusual, and very well-played out by author David Levithan. Not just anyone could write such a compelling story where we are able to connect with the main character even though he /she? is a person who doesn't even have their own body and own life. Perhaps that was part of the author's purpose. Without any of the external trappings, the merit of the protagonist rested solely on "her" spirit and personality/character. I found the main character endearing and likeable, and the world of this story was one I was glad to spend my time in. All the supporting characters were interesting to meet. The story builds up to an impressive gesture of generosity and self-sacrifice by the main character...this was a development and twist that I definitely hadn't expected. Though I was conflicted about this ending...only because it left some things undone and in limbo..with so much more that could be told. That's not to say that it wasn't very-well played out (and well-written throughout)...it just seemed to leave some things unresolved. People may want to know that this story is largely built on stream-of-conciousness and internal dialogue with our main character, interspersed with actual external events, dialogue, and the supporting characters. So, if you are more the "action" type, definitely sample this and try an excerpt to see if it's for you. Though I highly recommend it just the same! I found the narration did very much fit the story, and seemed right-on for the age and the main character. Not your typical YA book! I am not an avid YA reader and was not aware this was one. When I first herard the main character was 16, I almost made the mistake of turning it off. Thank goodness I didn't! David Levithan has the wonderful ability to keep the story flowing so it was no surprise that I had to listen to it in one sitting. Alex Mckenna did a wonderful job in bringing the characters to life.